Three cheers for Alfresco for changing their license to the GPL. The first cheer is because they are shifting away from a license which, as a modified version of an OSI-approved license, was not, technically, Open Source as the OSI defines it. We all remember the days when high-flying technology companies reported "pro-forma" financials instead of pure GAAP financials. The logic was that GAAP was the standard upon which their model was based, but they just wanted to make a few tweaks to better reflect the true value of their company. The liberties some companies took with GAAP created a slippery slope for both the companies and their investors, leading to massive discrepancies between reports and reality. Starting with an OSI-approved open source license and then making some discretionary changes without getting the new license approved can (and has) led to similar problems with respect to the spirit and the letter of the OSD. By stepping away from a modified Mozilla license and embracing an OSI-approved license, Alfresco makes their intentions clear to all--they are an Open Source business. The second cheer goes out to the folks on license-discuss who are participating vigorously in the discussions about where and how certain mechanisms for preserving attribution violate or do not violate the OSD. As Open Source becomes more popular and more powerful in the marketplaces of commerce and ideas, it is increasingly important for the OSI to help people understand how to employ this successful model to help create new commercial successes and to follow the path created by new ideas. Sadly, we are seeing cases where this success merely results in a growing number of people and organizations more interested in controlling and/or subverting the term for their own gain, not for the benefit of (or independently of the benefit provided by) the Open Source movement. One particularly insideous subversion of the movement is the meme that "open source is about creating a commercially successful software project, so any licensing change believed to be more commercially defensible is, ipso facto, more open source." 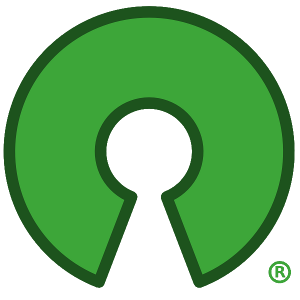 Commercial success is a predicted side effect of open source, but open source is not defined by the commercial intentions of a software project. The community has come forward to reclaim its definition of Open Source, and Alfresco has acknowledged that commercial success is a consequence of a good open source strategy, not the other way around. The third cheer goes out to Matt Asay, who sits on the OSI board and has advocated with integrity that all parties understand the issues and then Do The Right Thing. He has had public and private conversations with monied and community interests. He has worked the question from all angles--customers, community, and corporate. And his logic, which is also my logic (although his challenge is not my challenge), has prevailed. I believe Alfresco will benefit from this move, and I hope this proves out, both in terms of their commercial success, and in terms of the community's benefit.